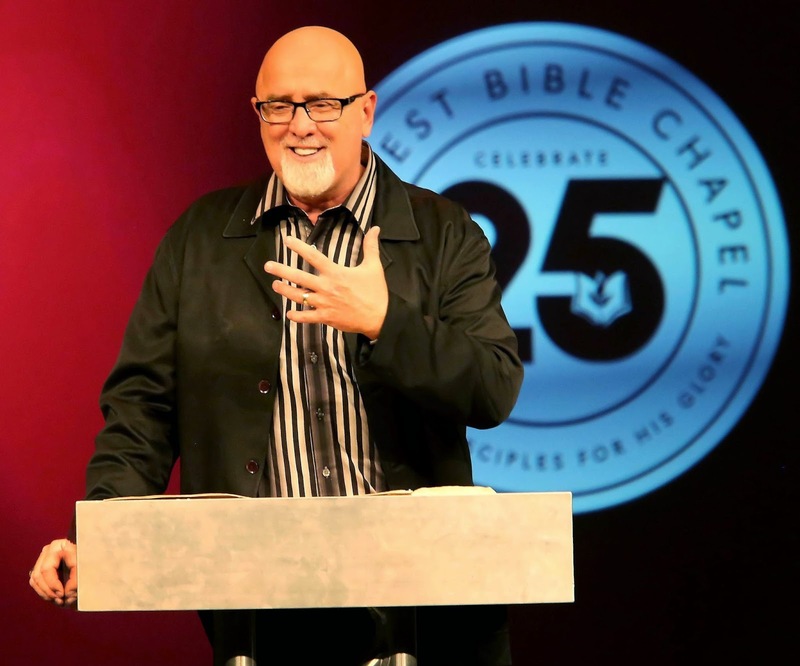 Christianity Today reports that James MacDonald, pastor of Chicago's multi-campus Harvest Bible Church, has apologized to his church for the public discipline of three elders last year. The elders were disciplined in September 2013 after speaking out against a “culture of fear and intimidation” and a lack of transparency in the church, including their concerns over nearly 60 million dollars in construction debt. *"What the men are saying is Satanic to the core and must be dealt with very directly." *“We warn the people of Harvest Bible Chapel to separate themselves from these false messengers." Unless you have been on the receiving end of intentional character assassination from leaders of an institution who are fearful that you may disrupt their plans, it is difficult to imagine the pain inflicted on these three 'disciplined' elders and their families, as well as the damage done to their reputations. Harvest Bible Chapel members should be grateful that their pastor apologized for the above character assassination statements, and should forgive him based upon his repentance. Unfortunately, the real problem at Harvest Bible Chapel has yet to be addressed. The people of HBC should be asking the question: "Why were we our elders ever in the position of making such statements about these three men to us in the first place?" "I just want to remind you that God has entrusted spiritual authority to the local church." "We believe that (this) authority of the church is invested in the elders." "When the elders speak collectively in agreement, they speak for God to our church." "That's about as serious as serious gets." "These elders are now going to speak on behalf of God to our entire church." The elders then proceeded to explain why the minority caucus of elders in their midst were 'Satanic to the core,' were 'false messengers,' and everyone was to avoid them lest "you incur great detriment to your own soul." Truth be known, Harvest Bible Chapel members, the problem at your church is not that three men were publicly disciplined because they were asking for greater transparency and financial accountability. The problem is that you have leaders who tell you that when they speak they are speaking on behalf of God. That's yet to be addressed. Spiritual authority, according to Jesus, is never invested in titles, positions of power (think elders), or other offices within an institutional church. Jesus was clear about this. "Jesus called all the followers together. Jesus said, "You know that the rulers of the non-Jewish people love to show their power over the people. And their important leaders love to use all their authority over the people. But it should not be that way with you. If one of you wants to become great, then he must serve you like a servant" (Matt. 20:25-26). (1). We apologize for saying that we always speak for God, when the truth is, we are all susceptible to our own personal agendas, our own selfish desires, and other inner conflicts that sometimes prevent us from ever hearing from, much less speaking for, our God. (2). We apologize for teaching you that spiritual authority is invested in titles and positions within the local church, rather the New Testament truth that spiritual authority is always invested in the giftings, service, and love of Christ's people, regardless of title or position. (3). We apologize for setting up ourselves as vicars of God on your behalf. Though we told you in September 2013 that it we were speaking for God, it should be obvious to you that (a). God never makes mistakes, and (b). God never has to apologize. We repent of thinking more about our positions and titles than what God thinks of them. Now that would be a refreshing New Testament apology. However, Pastor MacDonald and the elders don't yet see that the real problem is their view of 'spiritual authority.' In my opinion, the greatest problem within the evangelical Christian church is this foolishness regarding spiritual authority. I'm not sure you can forgive foolishness until it is at least uncovered and called what it is. For help with the New Testament teaching of spiritual authority in the local church download this free PDF. What about Heb. 13:17? This is what was constantly thrown in our face at a former church. I would encourage you to go to Vimeo.com and google "Wade Burleson" and Hebrews 13:17. The answer to your question will be there - and also in the PDF at the end of this post. So I guess you want noone to be in authority to do anything in a church. What do you do when you have members who are disrupting the fellowship and sowing discord among the members? Excellent post! I suspect were I a resident of Enid there would be one more official Southern Baptist in the world. But as it is, I refuse to join where unbiblical "authority" is taught. Jesus is still my Lord. Thanks for this post. It sometimes seems as if I am the only one who thinks this way. As a seminary student I sit with multiple people who actually see themselves as Moses and the church as stiff necked rebels who must be forced to do what the Moses wants. Seldom do I hear others speak of service only authority. Sadly this comes from the front of the classroom as well as the students. As always your a breathe of fresh air. And who makes financial decisions in your church or do you take everything to the church floor? Seems like someone has to be authority somewhere to make decisions and implement what is decided. A bunch of sheep without a shepherd usually end up wandering into other pastures. Shouldn't that be "James McDonald, Supreme Pontiff of the Harvest Bible Church Denomination, speaking Infallibly Ex Cathedra..."? Did you just throw out the baby (biblical eldership) with the bathwater (abuse of the role at HBC). We have many elders at Emmanuel - men and women - who are 'old in years.' That is what the word 'elder' means. What we don't have at Emmanuel is the false teaching that because of a position or title there is 'spiritual authority.' We consider that to be contrary to the teachings of Christ. "And who makes financial decisions in your church or do you take everything to the church floor?" Seriously? Men and women who serve on our Finance Committee, men and women who comprise our church membership for major financial issues, and staff for day to day monetary matters that fall within a church approved budget. Those are the ones who handle financial matters. But none of them think they have 'spiritual authority' over anybody else. "So what do you do when you have members who are disrupting the fellowship and sowing discord among the members?" Glad you asked. I wrote Lessons in Dealing with a Disgruntled Church Member over five years ago. Hope the article answers your questions. So you're saying when Paul gathered the Ephesian elders to admonish and warn them about protecting the flock from wolves he was simply gathering those "older in their years"? What about the position of pastor (a synonym to elder/overseer)? Your title is pastor, no? Does preaching the Word of Christ not carry with it a kind of authority? Has your church not entrusted you in a unique way with teaching them the gospel, voluntarily placing themselves under your care? Additionally, those who are elders by simple virtue of being "older in years"...are they competent teachers? That is an elder requirement in 1 Timothy 3. It seems to me you vilified a pretty clear teaching of Scripture (the role of an elder) because a high profile church is doing it wrong. Again, you've thrown out the baby with the bathwater. Yes. "Grey hair is a crown of glory." "What about the position of pastor (a synonym to elder/overseer)? Your title is pastor, no?" Listen, you seem to be missing the point. Pastor is a verb, not a noun. I am known as a pastor because of my gifts, love, service, and calling. The issue is the person who is gifted and called to be in the ministry of loving and serving other people SHOULD NEVER TAKE THE ROLE OF SPIRITUAL AUTHORITY OVER OTHER PEOPLE - that's God's position only. Sorry for cyber yelling, but it seems you are stuck on titles and are missing the principle. Thank you for another article, clearly according to Scripture! How utterly spiritually suicidal is the idea that any follower of Christ should relinquish THEIR responsibility for their soul and spiritual well-being and function, to the "authority" of another sinner such as themselves. I think for a congregation to entrust themselves to servant leaders that the Bible often refers to as a plurality of elders (again, a leadership office with qualifications, not those "elder in years") is perfectly healthy and not at odds with Jesus' teaching. Your post seems to say otherwise. A group of elders/overseers that are operating alongside the flock (Phil 1), laboring on their behalf, instructing them from the scriptures, protecting them from wolves. Who wouldn't want to submit to elders doing such work? The fact that this question was asked rhetorically shows the level of personal Biblical understanding we have in the church. We let leaders tell us what to do rather than think for ourselves! All authority belongs to Jesus and He gives us all gifts. I pity the pastor that has to do everything because of some misguided notion of authority. That leads to major control issues and cult like situations. Where the Spirit of The Lord is though, there is freedom, as every Christian can use their gifts and serve in or out of the local church. You seem to imply individual Christians can't discern or protect themselves from wolves, yet God's Word tells me we are not ignorant of Satan's schemes. The church lacks personal responsibility when it lets itself be spoon-fed. Show me a church where every member is freed as part of the Body in submission to the authority of Christ and you have shown me a healthy church. What you describe reeks of control to those set free from the hierarchies of the world. I hope you have better success than I seem to be having in communicating this truth to our anonymous friends. Elders are to lead and guard in the wisdom of their plurality. Meaning an individual elder has no authority--single pastor/elder structures be damned. Elders have authority as a group. But it's authority that has been given to them by the congregation who called them forth because they were called and Scripturally qualified. Further, submission is mutual, the authority is in the Word and I have no problem letting myself be persuaded by those who teach it humbly and rightly. ;) But that's quite a different thing from submitting to imperfect men against my better though also imperfect judgment as I follow Christ. Selah. I doubt it. I'm a woman! ;). But thanks for this post. Your comment assumes the entire flock is spiritually mature, and not need of care. This is verbatim MacDonald but not verbatim Scripture. Do check it out. Not so much. I'm assuming the congregation is maturing. Not being indoctrinated. But I rest my case. Do review Scripture over books on this topic. Blessings. Does anyone think the four guys in that video from last year in any way demonstrated the "qualifications of an elder"? (Insert your own definition of "elder" there.) All four of them, but especially the little one in the light green shirt are what are known as "toadies." Who wouldn't want to submit to elders doing such work? When Paul tells believers to sing with one another, speak to one another in psalms, giving thanks and submitting to one another, are you thinking that doesn't pertain to the entire body? Or do you think some in the body are entitled to a different kind of submission? Not blindly, of course. But you submit to the degree that you've entrusted them to lead. Which is not without accountability. Shepherds should not Lord over. Sheep should make leadership a joy. A Fivefold Amen and Triple Hallelujah on this one! Oh how I wish this was understood and taught today -- especially in SBC seminaries, where the "pastor (or elders) as king" model has taken over since the Conservative Resurgence. This isn't about whether some are gifted to serve the body by providing sound teaching and protecting the flock. Of course God has gifted some in the church to do those things (among many other gifts He has given, all equally valuable to the body). But that function has nothing to do with being anyone's "spiritual authority" -- see "boss" and "Lord" for synonyms of "authority." We have but one Lord, and all authority belongs to Him. Blessings to you as you seek the truth. Thank for being patient with me in your response. I agree that we have but one Lord and all authority belongs to him. And I agree the single pastor (King) structure is nonsense. But things like church discipline, teaching...even picking out kids curriculum, or replacing light bulbs can't be done in a church without a kind of submission to the leaders God called into the different church offices. I've said all that I've said because I felt like the original post was trying to say their was some kind of folly in having church elders called to guide and serve the flock, not just folly with James MacDonald and Co. Anonymous, thank you for your reply, but I'm asking in what area(s) practically speaking is submission required in your opinion? In other words, what does the required(? )submission entail specifically. I appreciate your response, and I understand your desire to see churches practice a biblical plurality of elders (or pastors, or overseers; all words for the same concept). My main point is that all of us as believers are equally accountable to each other and are equally required to submit to each other, before the Lord and under His authority. Church discipline, if needed, is a matter for the whole body to address, and never in Scripture is it relegated to any special subset of believers (like elders). I don't think there's anything wrong wrong with a congregation selecting individuals with demonstrated gifts and wisdom to perform specific administrative or practical tasks on behalf of the whole body. I have no problem with calling that "leadership," if people understand that Jesus taught that the defining characteristic of leadership in the church is service to others, not power over them. And I have no problem with saying that people given those responsibilities have "authority," but only in the sense that authority refers to one who is a superlative example or expert in a matter. Just like Noah Webster was an authority on the English language -- that is, he knew all about it, but he did not have power over others to enforce how the language should be used. Like Wade, I think we run into trouble when people claim to have God-given power over others that arises from some special position or title they hold within the church. This is the mindset that allowed James MacDonald and his elders to claim that whenever they were in agreement they were speaking for God and thus people were obligated to do as they said. As Wade pointed out, they repented for the things they said about the former elders and now admit that what they said was untrue -- but if they had truly been speaking for God, what they said could not have been untrue. Apparently they have yet to realize that it wasn't just what they said that was wrong, it is their underlying theology about "spiritual authority" that is mistaken. These designations do not lend themselves to an understanding of mutual anything in the body. They depict a hierarchical system of importance in rank/position. We would laugh at designations of "servant Joe," "servant Mary,"
etc. because that wouldn't quite fit our way of "doing" church. I've always found it strange that we use the word pastor rather than shepherd and totally ignore the "position/office" of evangelist, apostle, teacher. Actually, I'm surprised that there aren't more James McDonald and elder types given our use of similar systems of ranks as in the Jewish synagogues during the formation of the early church. All true. Many words that are biblical in origin have had extra-biblical meaning poured into them through church history, so it can be difficult to get to the real biblical concepts due to baggage associated with the terms. I think this post and conversation demonstrate just how difficult it can be. I actually feel bad for these guys, they are nothing more than yes men and I have seen this behavior demonstrated in other churches. They obviously believed in the Spiritual authority of James McDonald over them otherwise they would have told him no way would they issue such a statement. McDonald talked them into it and they delivered all the while making it look like they were the ones who came to this conclusion. Pastor manipulation at its worse! I am really struggling with this post of your Wade. My struggle is between the context of what you write about and that you wrote about it. 1 - JM takes a position of authority to which we disagree with because we interpret scripture differently than JM. 2 - JM criticizes those he is in disagreement with. 3 - JM uses his bully pulpit to make his case. 1 - WB takes a position of authority which we agree with because we interpret scripture in harmony wit WB. 3 - WB criticizes those he is in disagreement with. 3 - WB uses his blog (bully pulpit in some ways) to criticize those he is in disagreement with. There are some things that you mention that do not parallel but for me these things above conflict because it is doing the same thing. Ok, you are not calling JM satanic but if your position is of God and JM's is not then where does JM's position fall. If it is not of God, who is the master of it? Is it of God or of His enemies? Regardless if men make the comment, if it is not of God who is it of? I am not even saying I am correct but I am truly struggling with the conflict I see. You state... "we are all susceptible to our own personal agendas, our own selfish desires, and other inner conflicts that sometimes prevent us from ever hearing from, much less speaking for, our God." How much of this might be in your post? If even a smidgen, which part? If even a smidgen... where does this lead all of those who so readily pat you on the back and state you are spot on (my observation of the comments in support of your posts). Not taking a position yet but really trying to figure all this out. Not only for for JM's sake and WB's sake but for the sake of truth and the gospel. In closing... I am now using a bilingual keyboard. It has both English and Arabic symbols. It even has a few extra keys. So please excuse any crazy typing. I actually feel bad for these guys, they are nothing more than yes men and I have seen this behavior demonstrated in other churches. I'm afraid I don't. These are likely influential businessmen in the community, some probably teach Sunday School (or whatever the latest term for it is... I can't keep up anymore), lead bible studies, etc., and are looked upon as leaders and mentors. If they are that easily manipulated by the likes of James MacDonald that says just as much about their characters as it does that of MacDonald. I am somewhat encouraged to see MacDonald's retraction/apology, a full year later and such as it is, and hold out hope that the demonized men have reconciled to some extent with their accusers, but you're right, Wade. The "elephant in the room" is alive and well and still being ignored. They obviously believed in the Spiritual authority of James McDonald over them otherwise they would have told him no way would they issue such a statement. McDonald talked them into it and they delivered all the while making it look like they were the ones who came to this conclusion. Pastor manipulation at its worse! Well, maybe or maybe not (regarding their belief in MacDonald's authority). I've no doubt there are some who do believe that MacDonald is their "spiritual authority" and are sincere. (I find it hard to believe any of the four in that video fall into this category.) "Yes-men" are typically either insecure people who want to be part of the "cool kids" club or who are using their positions to network and further their careers (i.e. money and power). The former are in a way blinded. The latter know exactly what they're doing. I've seen way too many examples of this... men who don't care who they step on or the collateral damage inflicted on their way to the top, and they will glad-hand and "graciously submit," at least publicly, to anyone perceived as being in a position to benefit them, all the while keeping their eyes on the prize. U.S. vice presidential candidates come to mind. There's a lesson to be learned here. Be careful who you hitch your wagon to. The ride may be exciting for a time, but eventually you could find yourself being thrown off and dragged under your own wagon. The point is not merely public criticism over a difference of scriptural interpretation; this is about a clear (and admitted) abuse of power cloaked in speaking for God. from my own faith tradition, may I join the conversation? "... it has always been asked of the people of my faith to consider three things before making important decisions based on the realities and the issues we faced in our live. the 'Church's teachings' were always to be carefully considered and pondered in our hearts. And we were to pray most sincerely and earnestly for the guidance of the Holy Spirit. But there was another consideration too . . . that our consciences needed to be consulted. man discovers a law which he has not laid upon himself but which he must obey. Its voice, ever calling him to love and to do what is good and to avoid evil, sounds in his heart at the right moment. . . .
For man has in his heart a law inscribed by God. . . .
His conscience is man's most secret core and his sanctuary. with God Whose Voice echoes in his depths." 'Authority' may teach, it may offer guidance, and give direction, but for a Christian person, no 'authority' can ever take the place of his or her own moral conscience. I wondered what was troubling me about this discussion . . . and it looks like perhaps for many who are not of my faith, there is little or no recognition of the supreme importance of informed 'conscience' as moral guide, within the whole tradition of mainstream Christianity. "re-examine all you have been told in school or church or in any book, and dismiss whatever insults your own soul"
and if we let them decide for us, our own hearts must 'look away'. Our God has made us better than that." WADE, thank you for bringing this issue forward into the light . . . I have a feeling it won't be the last time you are called to do this, and I am grateful to God for your commitment to the protection of innocent people from abuse, as I know that it has cost you much in the past. God bless your work! It is more than that, it seems. It is one group telling snother group they not only were wrong but their apology was insufficient. By whose authority do any of us have to tell another that their apology (which had nothing to do with us) fell short? This can be an abuse of power (I have the authority to tell you that you are wrong, even with your apology) also. By whose authority do we stand under to publically say what we are saying is from God? is what Wade said of God? If not, who is he speaking for? Trying to sort this out. Your reply did not help. Not a criticism just just a fact as to where I am on this. You make some good points. I plead guilty when it comes to standing up to those who've been abused, mistreated, lied against and slandered. It's not the first time someone has accused my blog of being a 'bully pulpit,' but I can live with it if my written words, somehow or someway, ever prevent another church leader from destroying men or women and their families because "God told them to do so." I don't see it as telling them their apology was insufficient. The apology was fine for what they apologized for. But there is a deeper problem of which they are apparently not yet aware. One can only hope that if and when they come to understand that they have other things they need to apologize for, they will do so. What JM and his elders did was far more than just expressing disagreement with their former fellow elders. They misused the keys to the kingdom and excluded men who should never have been excluded. That is a dreadfully serious matter. There is simply no comparison of that to Wade expressing his view of scripture and his disagreement with their teachings and actions. He has no power, real or imagined, over his blog readers. JM and his elders did exercise power over these men (wrongly and abusively) that they never should have had but usurped for themselves. Therein lies the difference. I hope you are genuinely seeking understanding here. Based on your past tendency toward pugilistic responses when commenting on this blog and others, I may have incorrectly assumed otherwise. Why was there no menion from you about the reconciliation that took place? IF, JM was straight with his words in the apology, reconciliation / restoration has taken place. It may not be exressed to my liking but the video I watched JM stated they acted outside God's will... Made totally false character assasinations towards the three men... Were guilty of saying they spoke for God when they really were not. That they were wrong. He still believes, whether we do or not, in a line of authority in the church amd he uses that authority as he feels led. Just as you have authority over this blog. I see it and with it comes responsibility which I am struggling with as this post of yours ( in some ways) does what u accuse JM of. Rhetorical alert... Are Wades comments of God or of man? Maybe this is the crutch of my struggle. "I hope you are genuinely seeking understanding here. Based on your past tendency toward pugilistic responses when commenting on this blog and others, I may have incorrectly assumed otherwise." You can decide on your own where I am coming from. Now back to the subject. By whose authority do I, you or Wade have the right to say the apology was insufficient? Where is the biblical foundation for such a claim? Do we need one? Are you and Wade speaking with authority in staking your position here? If so can you share where that authority is coming from? Scripture? Where? If the comments have no biblical authority with them... In cases as personal as this... What is being offered? Opinion? Still not seeing the purpose f this one and to many similarities between what one group is being accused of and Wade doing himself. Well, Jon, there's not much more I can add, since my answers to your questions are obvious from my previous comments on this thread. Also obvious is that your questions are not really questions at all, but are passive aggressive accusations. So we're back to the question raised in the video I linked to previously -- "How can you be so obtuse? Is it deliberate?" I think the answer to that is obvious as well. Postscript: I've never claimed to be God, am fully aware I could be wrong in whatever I say or write, and would hope people would be able to recognize I may have opinions, but they are not necessarily God's thoughts. The issue I brought to light is NOT that their apology is insufficient - for I don't believe it is, but rather, what they apologized for is actually not the real problem. But, if Tom and I can't help you see what we believe to be the real problem (i.e. 'acting as if when you speak, God speaks'), then it ain't gonna happen! I will continue to wrestle with this on my own. It is not that your comments don't make sense, to a point but I am personally working through a atudy that is showing me that everything I do is of God or not. There is no middle ground... No grey area. I am also struggling with the idea. Is God interested in my actions? Does God consider everything I do to be of Him or of something / someone else? Does my opinion really matter? Should I be focused on Truth and if I cannot figure it out, continue to wrestle and ask questions to find the truth? Until I know the truth, should I take a position so absolute, especially when it concerns others? That final question is what JM tells us He did. He and the Elders took a position which was not truth, concerning others. Now they stand and repent and thank God for the reconciliation. If the issue is the authority structure within the church, the Bible is somewhat mysterious concerning this. Paul had no problem stating he had spiritual authority and where that authority came from. Thanks for the comments to my comments. I need to finish getting ready for church. We worship on Fridays here. So if you get this before 2:00 am, lift a prayer for us. I will do the same for you on Sunday night when you have your time of corporate worship. What is neat, among many thngs, is we have Friday School. Our schedule changes the whole dynamic for weekends. No more late Saturdays to have as excuse to miss Sunday. Our weekend is Friday... Saturday. I speak from experience after having been excommunicated by and completely slandered by the 6 men who comprised the leadership of my former church.They advised, effectively, that none of the 40 families I had done life with for seven years have any contact with me. I would not be surprised if, at some point, a general statement is made from the pulpit that these elders have sinned against me. i have already forgiven them. That will not be adequate for reconciliation, however; attempting to contact every person with whom they have disrupted fellowship within the church, as well as rectifying gossip in the community, as well as asking what I need to be made whole again....that is what is required. I will wait to hear what the formers elders of JM's church need, before i am convinced JM has done "enough," including publicly confessing the details of conspiring to destroy these men. I am so sorry for your experience. I cannot imagine having to live through or with such hostility. I will pray. It seems to me that Harvest Bible Church has, at least to some extent, come close to functioning as a "cult". I interpret a "cult" as being a group that functions with a leader whose position is indisputable, along with some other distinctive characteristics. From the description given of James McDonald's portrayal of the relationship between the congregation and himself along with his elders, it seems that he is positioning himself in the role of The Holy Spirit at the expense of removing the members' inherited right of being themselves a "royal priesthood", each who have unrestricted access to their Father, God and hearing His voice directly. McDonald seems to be proclaiming that he and the elders are the voice of God and therefore the congregation, who is "deaf" to the voice of God, should submit to whatever they say without consideration of what God's Holy Spirit is saying in their own heart. He is in effect, reversing the works of Christ on the Cross and reverting the congregation back to the age when the voice of God was heard through the prophets. It is a sad thing that he doesn't seem to understand the freedom and joy that all followers of Christ have in their personal relationship with their Creator. He instead leads them to understand that they continue to be distant from God and dependent upon others to function as their "priest" who lets them know what God would have them do and how to live. I interpret this as being the point that Wade is making in this post. The pastor and leadership of the church should be just that, "leaders" who work to help us other "priests" avoid running around like a herd of cats. They work to keep us focused on being conscious of the voice of The Holy Spirit who abides in us and they encourage us to consider how best we can live our lives for our Lord. That doesn't seem like such a difficult concept to understand to me. when in fact the church is the priesthood, and Jesus Christ the only "merciful and faithful high priest." I'm not familiar with Pastor Mcdonald although I've heard is name mentioned before. I am aware of that spiritual abuse goes on in some churches mostly based on legalistic ideas. I've read on other sites sad stories from former members of Mars Hill about the spiritual abuse they received under Pastor Mark Driscoll. Sadly some of these megachurches seem to follow legastic rules based on taking the scriptures out of context and distorted altogether. I feel sorry for those who suffer from this type of treatment from their church and agree on everything so said. Not that I am a fan of elder run churches or churches that openly vote on everything but if a person has been excommunicated by a fellowship there is usually at least some truth to the matter. Where there is smoke there is fire and usually there is guilt in there somewhere. Do a gut check and then ask for a re-vote. Maybe you'll get back in on the next ballot. Since elders seem to be corrupt and we all know that pastors are corrupt, then we should just dissolve every committee, every eldership, and every pastorate and just run wild? If you want to see a real mess just check out Mars Hill church. They fight within themselves, outside the church, and there are even blogs around the country that post every detail, every day. Looks to me like the modern day church is rapidly falling apart and the gates of Hell are currently prevailing against it. Someone needs to do something! Wade. Thank you for this post. I'm noticing trends in the evangelical, emergent, and mainline church that institutional authority=s speaking for God. A touch not my annointed approach to church leadership is toxic and spiritually abusive. "By whose authority do any of us have to tell another that their apology (which had nothing to do with us) fell short?" I saw this and wanted to respond, but needed time to flesh it out. The authority always belongs to Jesus Christ. He is the Truth, and He gives His people discernment. As an example, I will say I was slandered personally by someone very close to me once. When I called them on it in the spirit if Matthew 18 I never received an apology for what specifically was said about me. Which tells me they think they were justified though wrong. I instead got a generic apology for "anything" the person had done that offended me, despite the fact I'd privately shared specifics that were personally damaging and hurtful to me. What is happening here requires discernment. JM and church are attempting to apologize for slander and spiritual abuse without looking at the specifics of why it occurred in the first place. Authoritarian teaching led to the abuse. Jesus gives His people authority to call out error, and I believe that is what Wade is doing here. I don't believe accepting an apology out of forgiveness and full reconciliation are the same thing. I don't believe it would be wise to reconcile where there is a clear refusal to change power imbalances. I think that would be dangerous. This gesture may have helped those slandered, but I doubt they are truly reconciled as things stand. Sometimes words fail me and after watching those four elders in that video is one of those times. I found it frightening. Wade correctly pinpoints the underlying problem and although I have little hope of JM and his elders ever seeing that problem, I am sincerely concerned about this type of teaching as we are seeing more and more spiritual abuse in churches and more and more usurping authority that is not theirs to assume. I learned much from a book that Wade recommended some time ago: "The Subtle Power of Spiritual Abuse" by David Johnson and Jeff Van Vonderen. "Recognizing and escaping Spiritual Manipulation and False Spiritual Authority Within the Church." Having attended a Harvest Bible Chapel plant and then working for it for a number of years - I can tell you that your assessment is spot on. Those in power at this particular plant didn't seem to find anything wrong with the video and have adopted similar mentalities over the years. One interesting point is though James apologized for disciplining in an unbiblical way, he still thinks they were justified in disciplining because they were speaking out against a culture of intimidation and fear. It goes back to the heart of the issue. The elders were disciplined for going against the 'concencus of the elders'. You have to demonize the puss when you're unwilling to see and deal with the infection. That video is incredibly telling and revealing of the way James thinks. Which is quite disturbing really. He's believed the delusion for so long that its become normalized and much of the congregation agrees. This way of thinking is actually built into the system in a way that it's ripe for authoritarian and spiritual abuse. And because its partly systemic its a lot more subtle. What surprised me about the video was just how it seems James was in panic mode and showed his hand. He threw off subtlety and was quite overt with the underlying principles he truly believes in. It didn't work out quite as well as he hoped. Interesting that the apology took place shortly after the Mars Hill implosion. in our lives, for He is our authority. As a former, long term HBC member, (the original location) one of the greatest lessons that I took away from my years there was the wisdom of a quote by Sir John Dahlberg-Acton from a letter that he wrote in 1887 in opposition to the Roman Catholic adoption of the canon of papal infallibility. "But if we might discuss this point until we found that we nearly agreed, and if we do agree thoroughly about the impropriety of Carlylese denunciations and Pharisaism in history, I cannot accept your canon that we are to judge Pope and King unlike other men, with a favourable presumption that they did no wrong. If there is any presumption it is the other way, against the holders of power, increasing as the power increases. Historic responsibility has to make up for the want of legal responsibility. Power tends to corrupt, and absolute power corrupts absolutely. Great men are almost always bad men, even when they exercise influence and not authority, still more when you superadd the tendency or the certainty of corruption by authority. There is no worse heresy than that the office sanctifies the holder of it." The crystallization of authority and power by some of the "mega church" pastors resembles nothing more than the evolution of the historic authority and power structures in the Roman Catholic church. Albeit, the explosive growth and amazingly fast evolution of some of the "megs" make the historic Roman Catholic church look like it was pathetically slow in its development. I especially like your statement about "The apology that still needs to occur to the people and congregation of Harvest Bible Chapel." I am going to download the pdf to review later. If you want to hear more clearly what Jesus meant when He mentioned the Pharisees, listen closely to the messages at Harvest Bible Chapel. It is a legalistic ministry full of doctrine and absent of Christ's message of love, mercy, and hope. You'll get a whole load of do's and donts heaped onto your already burdened back. Run from this church!!! Authority in establishing basic, democratic governance is one thing; public disparaging of character and claiming to 'speak' for God authority directly in the church is just wrong and un-biblical. Is It Race or Religion that Motivates to Behead?